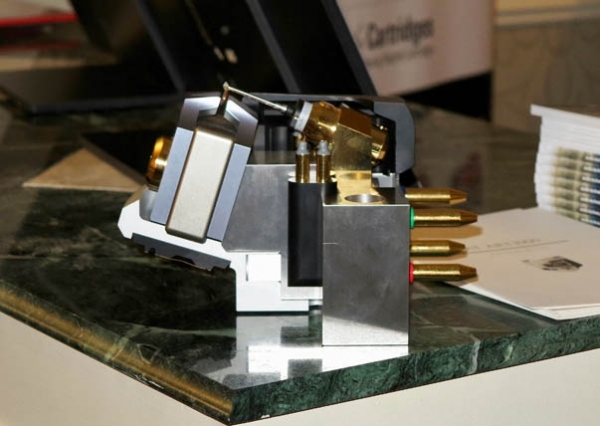 Because Art Dudley is writing a Follow-Up review to Michael Fremer's take on the Audio Technica AT-ART1000 direct-power stereo MC phono cartridge ($4999), I shall replace lots of words with this blow-up of a cartridge whose coils sit at the tip of the cantilever, right over its diamond stylus. 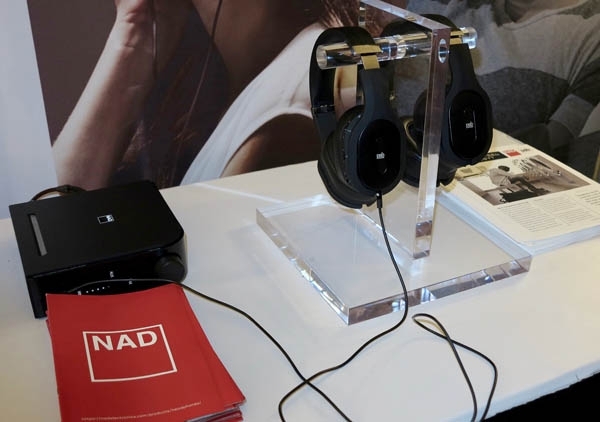 Etymotic's Albert Arends was showing four models of the company's earphones. 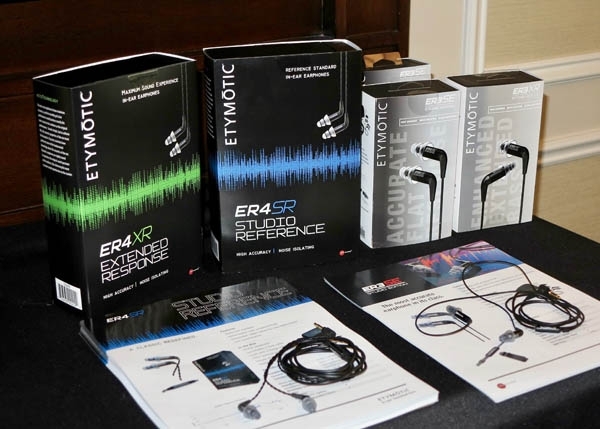 The Etymotic ER3SE (Studio Edition$179) has a flatter response than the ER3XR (Extended Response$179), which has "a bit of a bass lift" in the 100Hz-1kHz region. 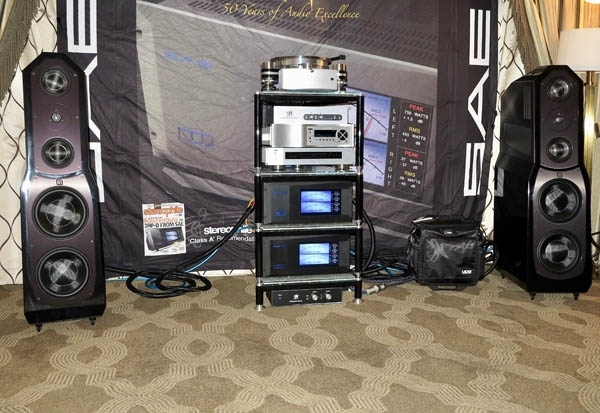 One major difference between these models and the higher level ER4 SR (Studio Reference$349) and ER4XR (Extended Response$349) is that only the latter are channel-matched to within 1dB. Is M&K the High End's Best-Kept Secret? I really don't know the answer; I just know that loudspeaker company M&K says that's the case. 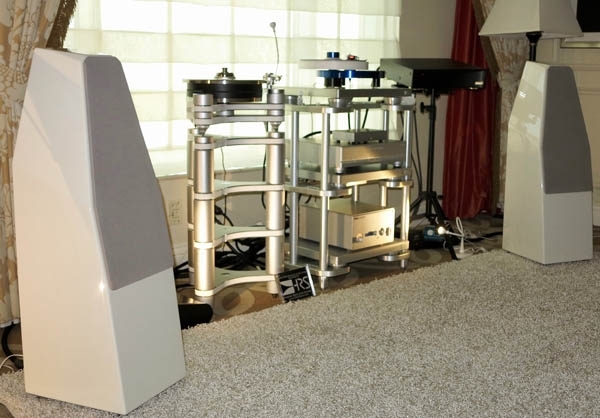 I also know that the original Miller & Kreisel was founded in 1973 by music lovers who wanted to manufacture speakers good enough to do justice to recordings by Steely Dan. 35 years later, the company went bankrupt, and was relaunched shortly thereafter by new Danish investors who have a strong home theater orientation. For the past 10 years, the company's owner has been Lars Johansen, who spoke with me in their room in the Venetian Hotel. This is hands down my favorite new "Concept of Show". 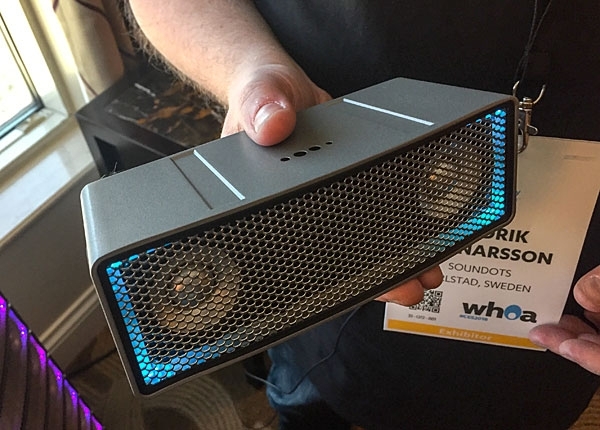 Here is a small powered speaker coming out of Sweden that has some surprising tricks up its sleeve. 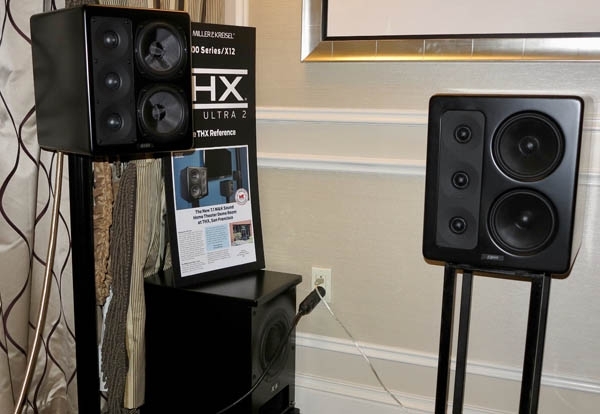 You can see from the photo that these are not big speakers, but they have a unique method of overcoming this limitation. 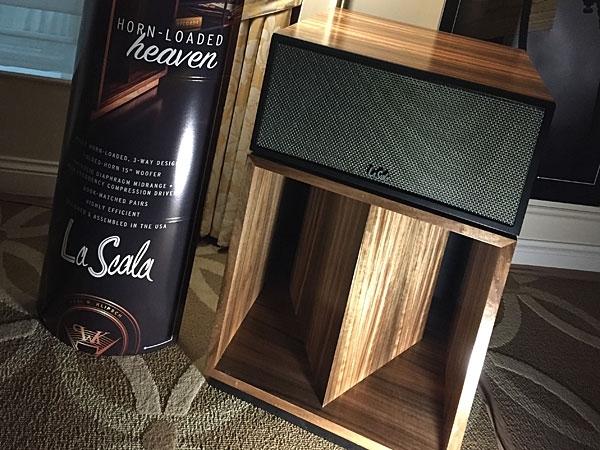 Shown here is the new DeVore Fidelity Gibbon Super 9 ($9,900 pair) which falls in between the company's big Gibbon 10 3-way and the Gibbon 88 smaller 2-way floorstander. 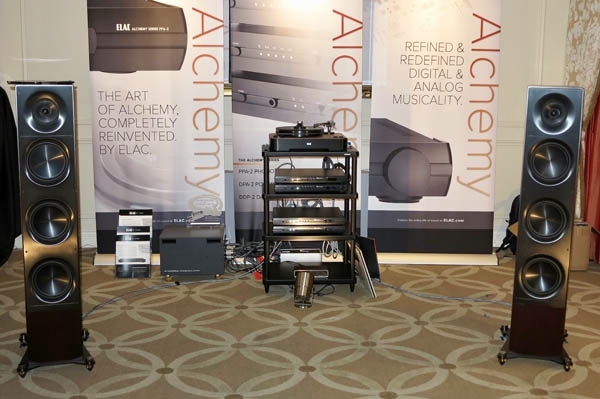 Richard Vandersteen, hailing from Hanford, California, was on hand to show off his new creation, the M5-HPA monoblock amplifier. 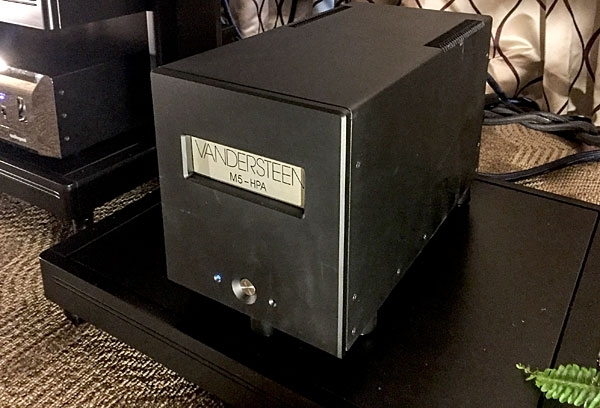 Vandersteen notes that this is a high-pass amplifier, not intended to go full-range, for a system that would also include a subwoofer. 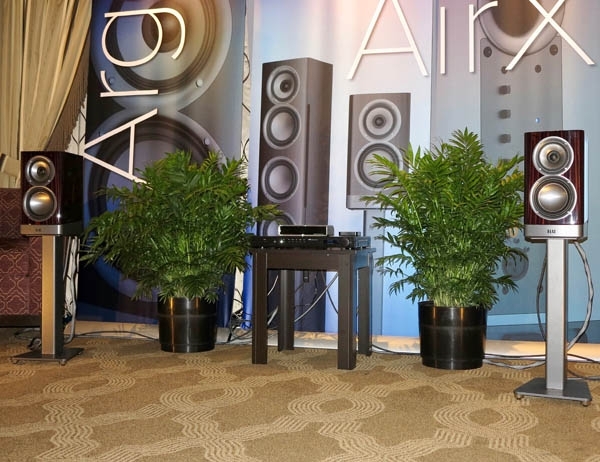 The selectable high pass settings are 20Hz, 40Hz, 80Hz, 100Hz or 200Hz. 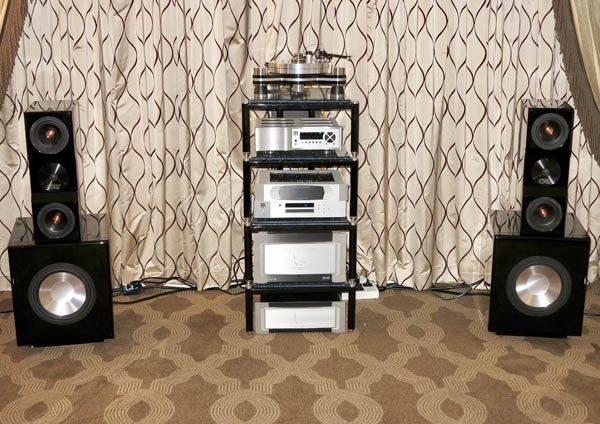 The 80 and 100 Hz settings are optimized to work with Vandersteen subwoofers. 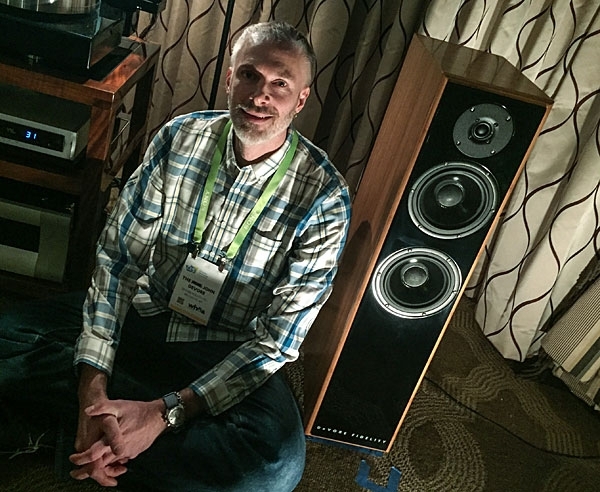 "All products in the Heritage Series are built in the Klipsch factory in Hope Arkansas," the company's Kerry Geist begins. Klipsch has chosen to only demo the Heritage stuff here in the Venetian, with the bulk of their contemporary line back at the main convention center. And the room is quite crowded, so they clearly understand their demographic. 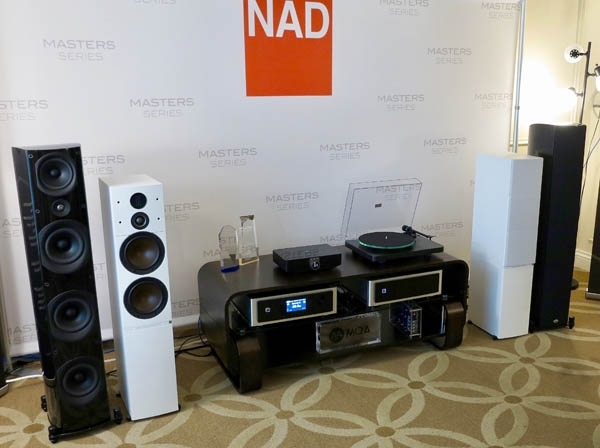 With Dali and PSBnot to mention NAD and Bluesoundall distributed by Lenbrook, at CES the white Dali Callisto System active tower loudspeakers with SoundHub (target base price $5500/pair, available by early May) sat beside black PSB Imagine T3 speakers ($7499/pair). 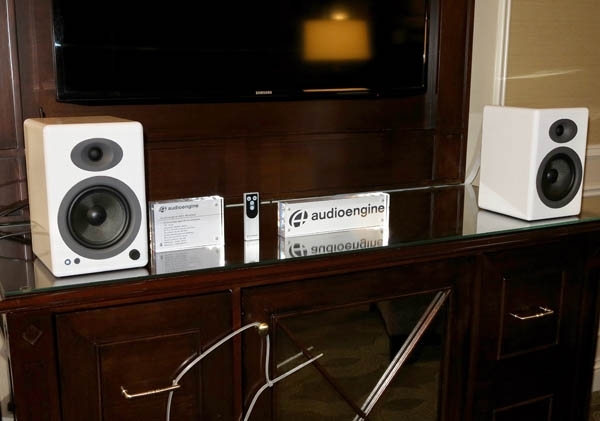 The Callisto system with SoundHub offers wireless HD audio transfer to the speakers, has numerous inputs including Bluetooth AptX-HD"you can connect anything" is the claimmultiple outputs, two modular expansion ports, auto sensing source select, and Bluetooth remote control. Beautiful and warm sound, gorgeous midrange, absolutely quiet surfaces with silence between the notesthese were some of my impressions upon hearing Natalie Merchant's performance of "The Butcher's Boy," from the LP version of Kronos Quartet's Folk Songs, on this brightly backlit, hard to photograph system from Musical Surroundings.